Kuijt is a nice name. But it's quite difficult to pronounce (for non-Dutch speakers). I've heard my name Kuijt as either "Kaut", "Kout", "Coyt", "Kite" or "Kooit"..... None of them is the correct pronunciation.... but don�t worry, I don�t care. 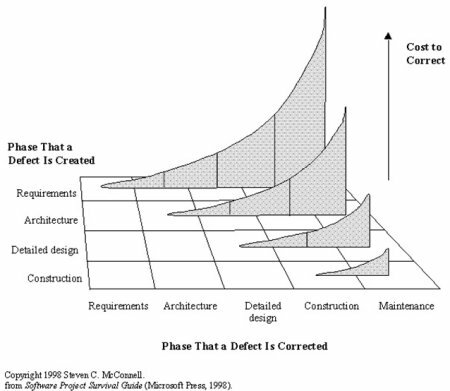 We, professional testers, are proud that we can create good test cases from bad requirements.....That's a great achievement.......We can save projects much time by starting with the test process at an early stage in the life cycle........Or not? Who are we doing a favor? 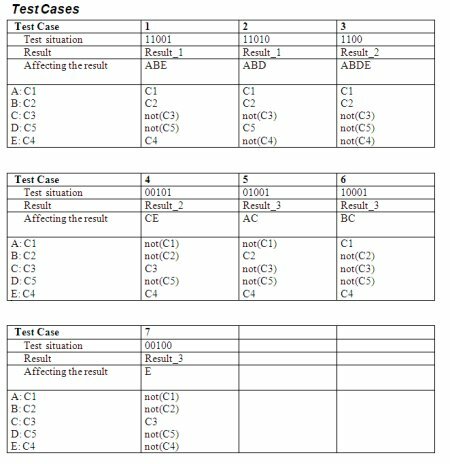 Believe it or not, with test specification techniques like 'Data Combination Test' it is possible to create good test cases from incomplete and/or vague requirements. By combining the (bad) requirements with the knowledge of domain specialists in creative team sessions, it is possible to create great test cases, with even the choice to cover the risks with different test depths levels. We can start right away with the preparation of the test cases. It is fun to do, it saves time and we do find many defects with this approach! GREAT job! or NOT? ............Is deriving good test cases from bad requirements professionalism? Besides us testers there are more parties trying to do their jobs on base of the requirements. For instance can the development team build the software? ....Yes, they can! Most teams are very experienced in making assumptions and interpretations, so bad requirements are not a problem. OK, and the project managers? Can they do their job? Yes, they can...not an easy job, and sometimes a project don't make it or has some delays, but what the hack, that's how it works in the ICT! GREAT job! or NOT?............What about the customers? Do we solve their problems? And that's NOT a GREAT job! What will happen if testers refuse to make test cases from bad requirements? Or even....what happens if testers create, as a first step of the activity 'test case specification', for instance during the testability review, formal models like process flows or activity diagrams? Problems like interpretations and/or assumptions rise instantly, and if these problems in the requirements can be solved before the development team start building the software, it would differ a lot!! State Transition Diagrams for state dependent processes/activities. Performing the tests is less complex, less creative. We testers help developers create higher quality systems. Afraid to be bored by less complexity? Try to make the next step: Model Based Development, Testing and/or Estimation! I've already proved that generating test cases from models is possible (see previous articles on that subject). Triggered by the article "Common Test Patterns and Reuse of Test Designs" on the MSDN Test Center, I realized that we are very good in reinventing wheels! OK, there are Test Patterns out there, but they are not easy to find. Better is to look for "Test Design Patterns". After some time I found some promising books, and, even better, I found some patterns. I was hoping to find Test Design Patterns on a more abstract functional level, like "Search Engine Test Pattern", "Web Shop Test Pattern" or "Database Conversion Test Pattern". But nevertheless I am happy with the ones I found. Test Design Pattern indexes: Alphabetical and Grouped. I'll keep on looking for more, and If I can find the time, I'll try to create some "How to Test"-articles on the more abstract test problems like testing search engines, web shops, database conversions and so on... May be these will grow to Test Design Patterns we all can use.